Improvement is proactive and the key to longevity. Improvement-oriented people resist assuming that everything is A-OK and deliberately seek opportunities to refine their skills and increase their knowledge. Larry Bird, the Boston Celtics star basketball player of the mid 1980’s, spent three hours on the court shooting baskets before each game. He recognized that as well as he performed in the last game he could always hone his skills for improvement sake. The Eagles, Don Henley’s long-lasting band from the 70’s, practice their harmonies for hours before every show. As they say, “The way we sound is no accident.” Stories abound of highly-skilled professionals dedicating time and energy to the sole achievement of “improvement.” There doesn’t need to be a problem to take some time for a check-up. Here are some Human Resource recommendations that, in combination, will spur immediate action and proactive improvements in your Contact Center. Assure that your agents know what you do and who you are. It is critical to check your agents’ knowledge of company brand, goals, values, and business objectives. These elements provide the context and baseline for all Contact Center initiatives, including performance measures. Confirm that there are clear statements of what the Center is responsible for, for example, “We create relationships with our customers to facilitate a life-long, mutually-satisfying experience on a consistent basis.” It is critical that you first identify the “what’s.” The “how” comes later. Confirm that your job descriptions are current. Job descriptions are important tools. Many operations let them atrophy and neglect to keep them up to date. The consequences may come quite unexpectedly and can be stunning. HR may be hiring the wrong people, the job may be poorly described to candidates, or (and we hope it doesn’t come to this) individuals may use the job description to argue against performing some function or task. Job descriptions are also important when internal candidates, whose departments may be eliminating staff, look to apply for a position in your Contact Center. If the job description is not accurate, this may again attract people that are not a good match for the actual job. Assure that you have the proper “requirements” in place. We once worked with a pharmaceutical company that required candidates for the Contact Center to have a Bachelor of Science degree. This might make sense if the agents were going to deal with the actual drugs, but many of these positions took address changes or sent information to callers. The positions also offered a compensation package consistent with educational background, yet out of line with the position. The outcome was high turnover due to low job satisfaction and much higher costs than were necessary. Altering the requirements allowed the compensation to be better aligned to the task. Retention improved, quality improved, and costs went down. A properly written job description must define competency requirements and assure that they match the job. There must be clarity around what candidates MUST possess prior to being hired. For example, in today’s world it is unlikely that any Contact Center is going to provide training on basic computer skills; this competency must be present at time of hire. Evaluate what you really want candidates to have when they come through the door – what needs to be added, removed, or tested for. This is critical because some folks inflate their own skill sets during an interview. Engage in hiring practices that yield the results you need. If the previous recommendations are followed, what you do to recruit, test, and conduct interviews will determine how well aligned your hiring practices are to your objectives, job descriptions, and competencies. Hiring may happen in a cluster if new programs, sites, or consolidations are taking place. This is often the most challenging situation – when lots of people have to be recruited and hired by a go-live date. In our consulting practice, we have learned that the HR “generalist” may need the support of temporary recruiters, consultants, and internal resources to address the magnitude of the project. When hiring fails in one of these projects, everything that comes after is at risk. Effective hiring practices in the day-to-day world of a Contact Center must begin with the phone interview. If the candidate doesn’t sound professional and pleasant, the process ends right there. Consider the use of a well-planned writing sample to demonstrate grasp of the English language (or whatever language you are testing for), ability to write complete sentences, and use of professional grammar. This is important if the Center handles written communication such as emails, chat, etc. Interviews must include Contact Center personnel in order to identify a fit. As well, testing for various competencies (e.g., critical decision making, customer service) results in a very clear set of standards for new-hires. Assure that training delivers competent resources. From the first day on the job to the last, the Contact Center manages the ongoing knowledge and skill needs of its staff. Effective training is the key to ongoing improvement. At PowerHouse we like to say, “Training is an event; learning is forever.” Trainers, coaches, managers – everyone in the Contact Center needs to reinforce learning expectations for the agents. Evaluate your program from the agents’ point of view. For years, training modules have focused on the transactional elements of a contact; this provides for a systems-intensive training experience. After these modules may come additional product/service information, followed finally by customer service and/or sales skills. This poses a great challenge for agents when sent to the floor. Although the training program covered the material, it may not have been delivered in a way that reflects how the agent would actually experience the job. Agents must simultaneously utilize systems, build rapport with customers, and provide accurate information regarding products and services. Designing training the way agents actually work may be a bit more of a challenge; however it yields much better results. Sadly, once new-hire training is completed, ongoing or refresher training is often cancelled, postponed, or not funded. While intentions are usually good when these decisions are made, the downsides require bold examination. This is an area where simply allowing agents to participate in training will yield positive results – as long as the training is relevant. I have seen over the course of my career that training is often thought of as “the cure” for some other dastardly issue. If your quality is low, your turnover is high, or your staff utilization is out of sight, training may not be the solution. It comes off a bit like offering ice cream to combat troops! 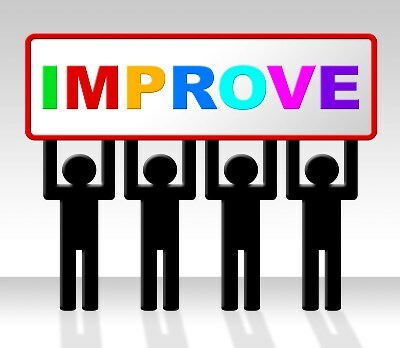 When you explore areas for improvement, look for areas that are often “overlooked” in favor of more glaring issues such as contacts backing up, service levels not being met, and morale and productivity being low. You may discover that the real improvement opportunity lies deeper in the belly of the whale.